then hurry to their nightly dips. to steamy crater bubble baths. they squeeze together in a hug. Click-CLICK go all the chamber lids. It's bedtime for the Mercury kids. " Here’s one for your little space cadets. 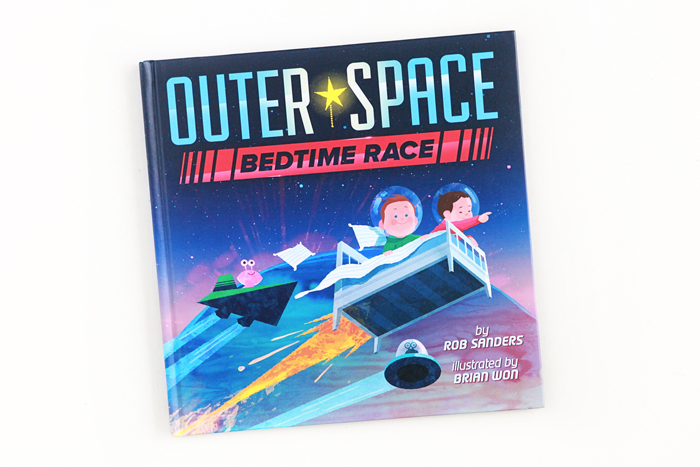 Alien kiddos race around the solar system race to get to bed first in the great Outer Space Bedtime Race. Words by Rob Sanders and pictures by Brian Won.